Mohan Lal Uppal Dav College Phagwara is a college with difference.It is meant basically to provide successful administrators to various industries of the state in particular & the country in general. The best infrastructure made available intends to provide job-oriented courses alongwith general studies to the students of the area.This year the college proposes to have +1 ARTS,COMMERCE & NON-MEDICAL FACULITIES &B.A.-I, B.S.C-I(INFORMATION TECHNOLOGIES),B.C.A -I&II,B.CAM-I&II,B.COM-I&II besides post graduate diplomas.All these courses will help the scholars of this area to groom themselves into successful businessmen& administrators. 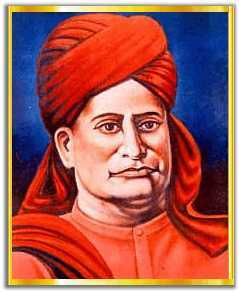 Mohan lal uppal dav college,phagwara is an offshoot of the prestigious dav college managing committee,chitragupta road,new delhi.This managing commitee is based on the principles of aray samaj founded by maharishi Swami Dayananad ji Saraswati. Maharishi Swami Dayananad ji Saraswati. On this web site we'll provide you all important links to solve your problems related computers Thanx for coming here.Want to automate maintenance and keep your PC at top performance? Want to solve your own PC problems quickly - guaranteed? Want an inventory of hardware, software and potential issues?